Doc McStuffins Slumber Bag Just $7.88! Down From $20! 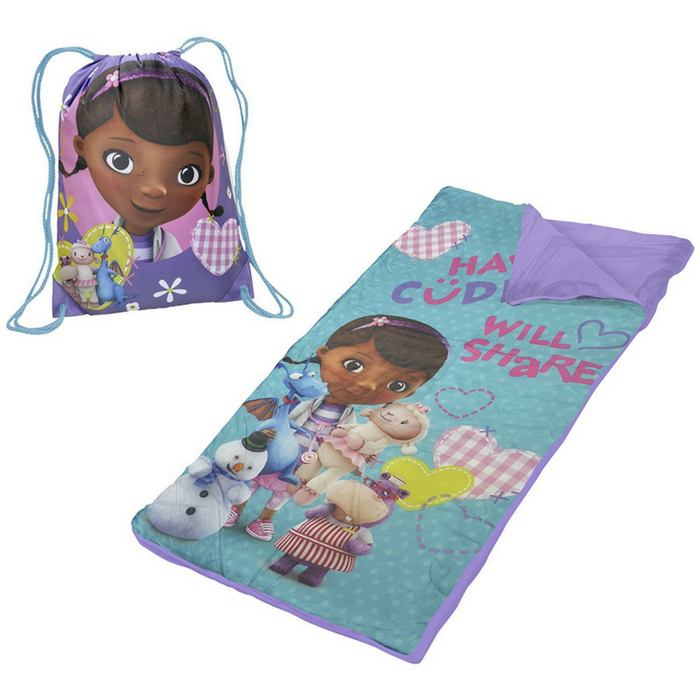 You are here: Home / Great Deals / Amazon Deals / Doc McStuffins Slumber Bag Just $7.88! Down From $20! At Amazon, you can score this Doc McStuffins Slumber Bag for just $7.88 down from $19.99 PLUS FREE shipping with Amazon Prime or for orders over $25! Sized just right for little ones, this Disney Doc McStuffins Slumber Bag will be the center of attention at the next sleepover. Your child can take bedtime adventure almost anywhere with its convenient carry bag. The side zipper of this sleepover bag makes getting in and out easy. This Disney Doc McStuffins Slumber Bag is great for sleepovers, watching TV, Grandma’s house and much more. This is nice!